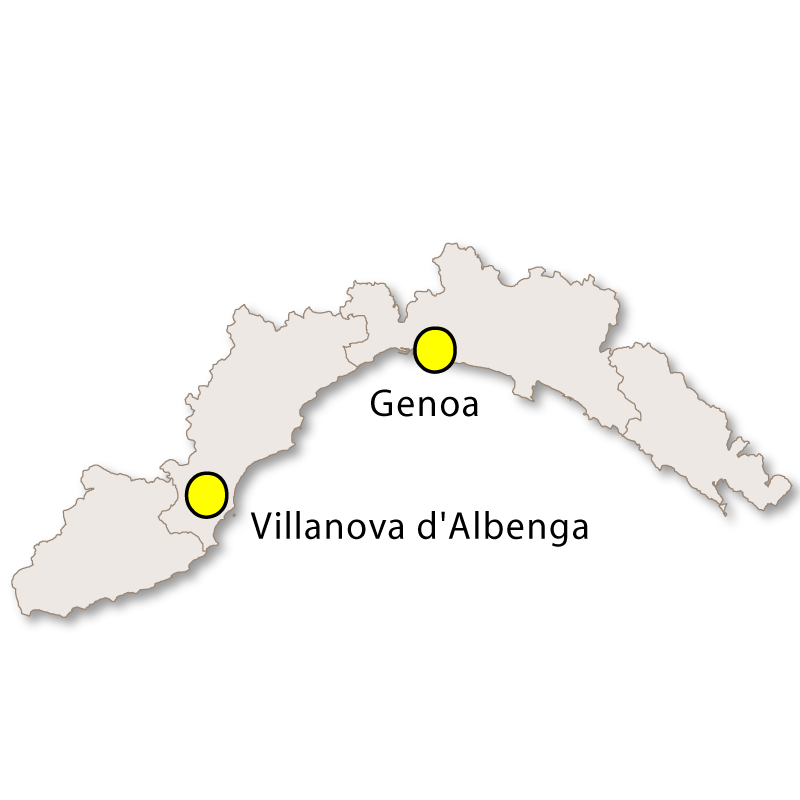 Liguria stretches around the coast from the French border in the west to Tuscany in the east. 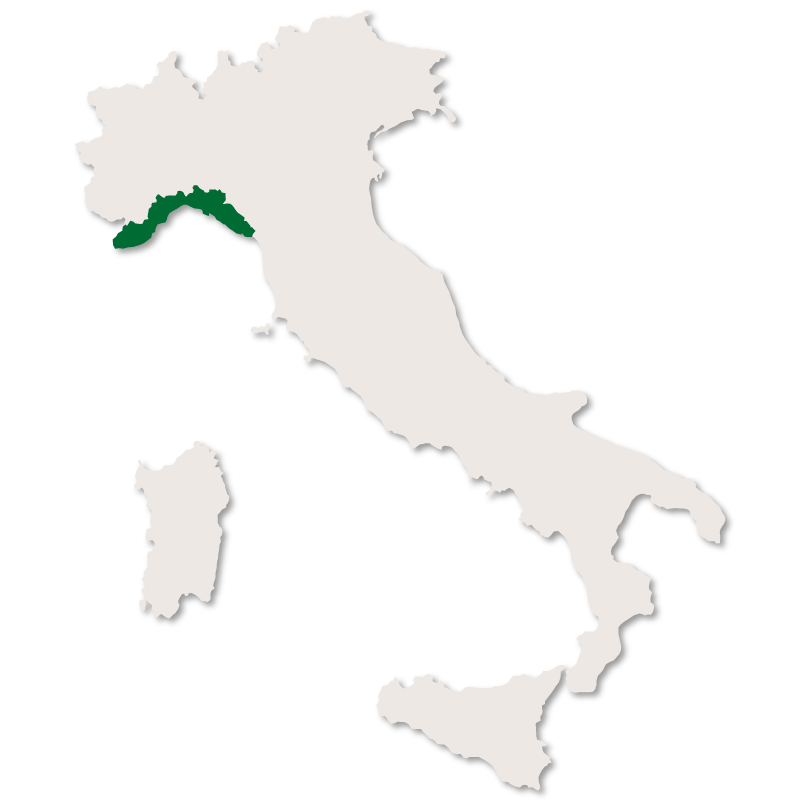 On the way, it also borders Piedmont to the north west and Emilia-Romagna to the north east. 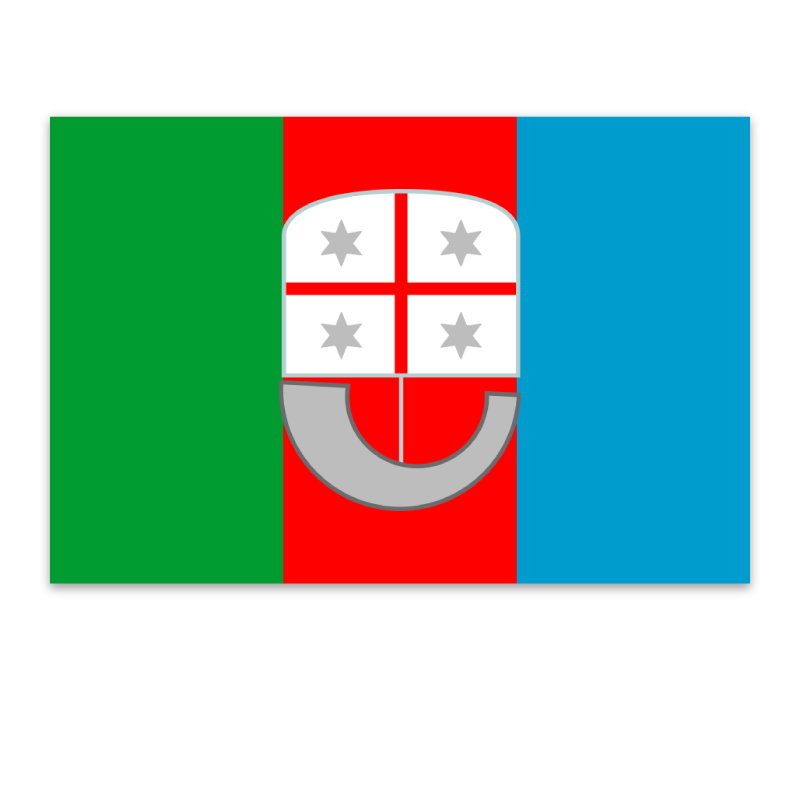 The coastline is approximately 315 kilometres long and the region has an area of 5,420 square kilometres, making it the third smallest region in Italy. 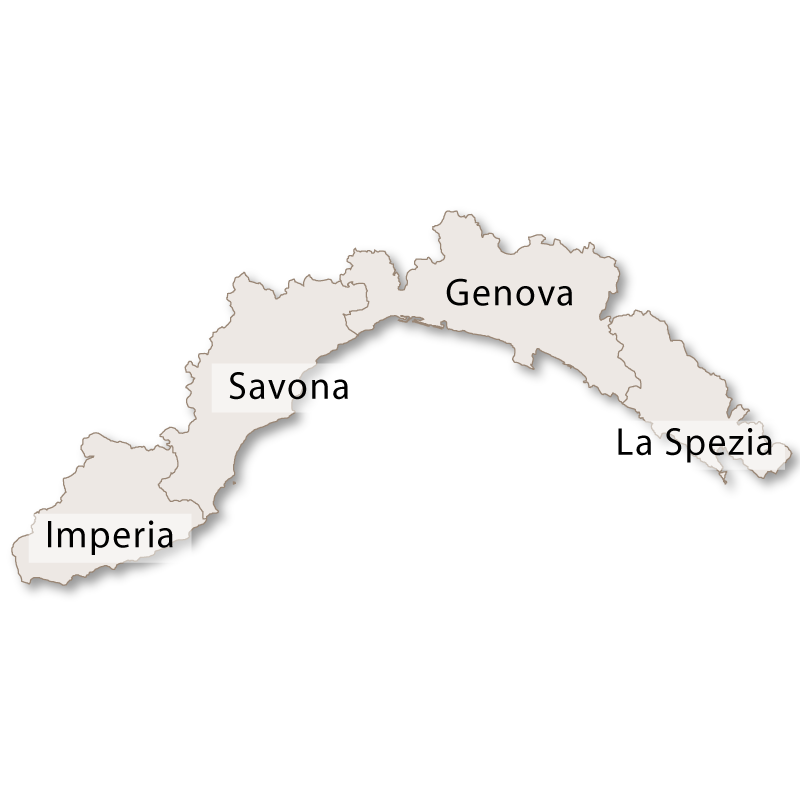 It is divided into four provinces: Genova, Imperia, La Spezia and Savona. The capital of the region, Genoa, sits at the centre of the curving coastline and is probably best known as the birthplace of Christopher Columbus. In its heyday, Genoa was the most powerful maritime republic in the Mediterranean and it remains an important and thriving commercial port. 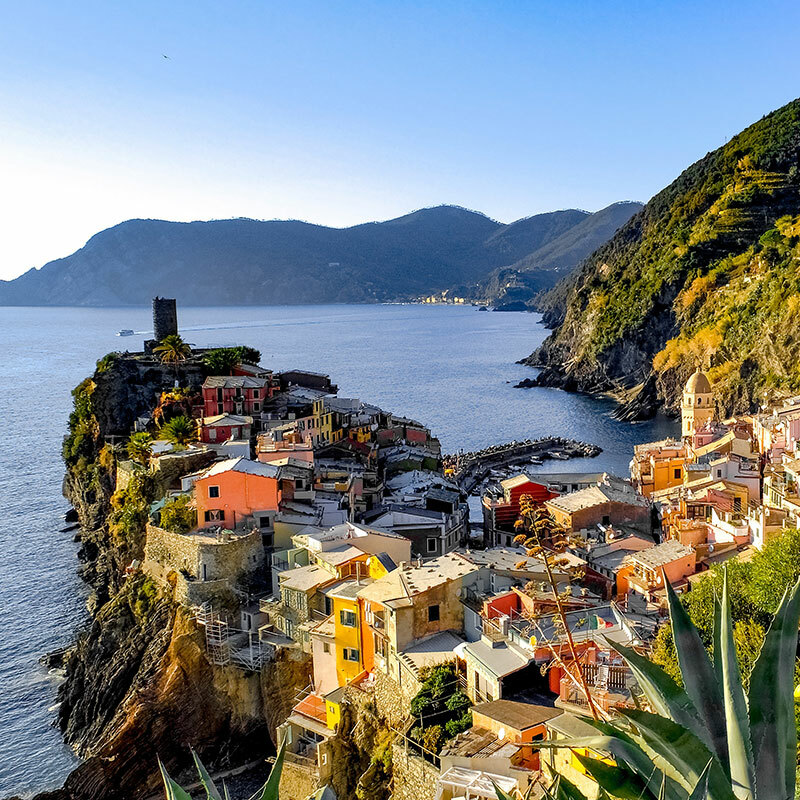 Liguria is also known as the Italian Riviera, due to the large number of seaside resorts dotted along its coastline that stretch out either side of Genoa. The coast to the west is known as the Riviera di Ponente, and contains the resorts of San Remo, Imperia, Alassio, Loano and Finale Liguria. 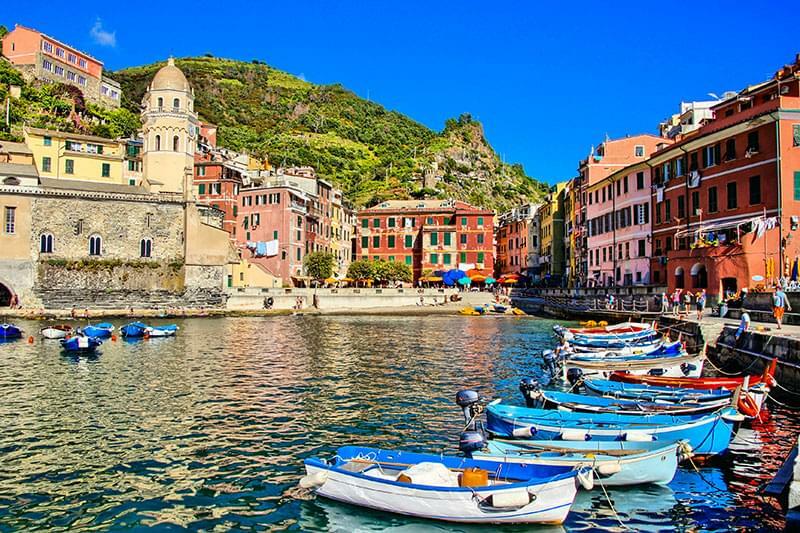 The coast to the east is known as the Riviera di Levante, and contains the famous harbours of Camogli, Portofino, Santa Margherita Ligure, Rapallo, Sestri Levante as well as the famous and spectacular hillside area called Cinque Terre. 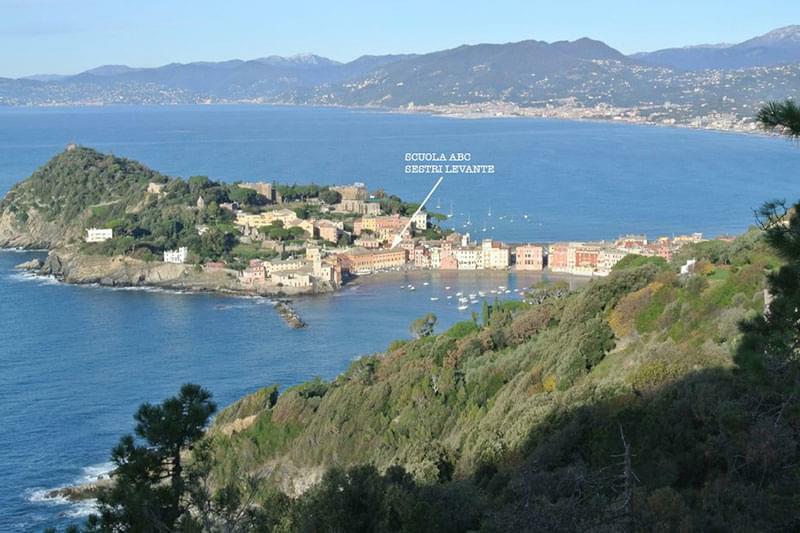 This area, and in particular the towns of Portovenere and Lerici, were made famous by their association with the English poets, Percy Shelley and Lord Byron who lived there in the early 19th century. Shelley died in a boating accident while returning to Lerici from nearby Livorno.